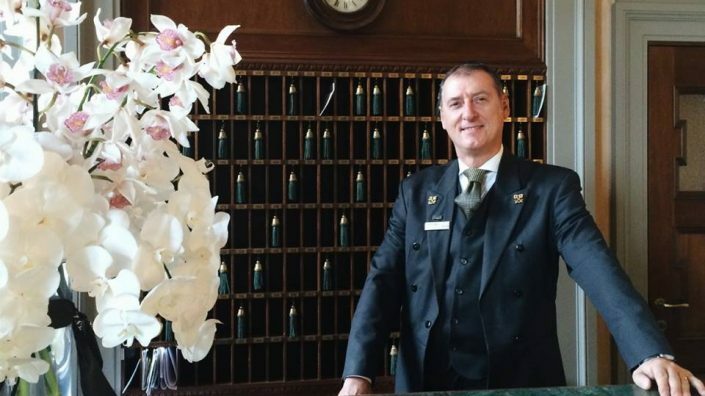 Massimo Parlanti’s, Head Concierge of the St. Regis Florence and The Westin Excelsior Florence, story. A rising degree of importance is being, nowadays, ascribed to experience creation and management. Starwood Hotels and Resorts, mirroring this new economic value, outline the materialization of this need in their brand through the Concierge’s role. The Concierge is the official storyteller of the hotel and is defined by the brand standards as the Catalyst, the Curator, the Guide. Starwood Hotels and Resorts devote significant attention to their Signature Concierge program; the «gold thread» of the brand as it is eloquently called, enacting the performative authentication, uniqueness and locality that the brand identity reflects. The Concierge corresponds to «a perceived need to maximize feelings of place association and belonging among users» (De Nisco and Warnaby 2012). In doing so, the Concierge carries the paramount promise to choreograph the guest’s local experience, an experience tailored to his very own profile, implicit and explicit needs. He is the key driver of the hotel in enabling collectable, exceptional indigenous experiences with deep personal meanings and associations as well as memorability. 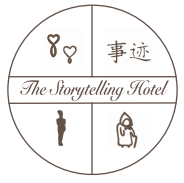 Such a significant example in the hospitality storytelling marketplace is the unique dramaturgy that Massimo Parlanti, scripted for an American couple. Massimo Parlanti is President «LeChiavi D’Oro» Toscana from 2013 and the Head Concierge of the St. Regis Florence and The Westin Excelsior Florence in Italy; a man always on brand, impeccably performing Starwood‘s brand promise of personally dedicated and interest-driven exclusive experiences for every unique guest. «Immediately upon arriving in Venice, Italy, a friend asked a hotel concierge where he and his wife could go to enjoy the city’s best. Without hesitation they were directed to the Cafe Florian in St. Mark’s Square. The two of them were soon at the cafe in the crisp morning air, sipping cups of steaming coffee, fully immersed in the sights and sounds of the most remarkable of Old World cities. More than an hour later, our friend received the bill and discovered the experience had cost more than $15 a cup. Was the coffee worth it, we asked? «Assolutamente!» he replied» (Pine and Gilmore 1999, p.2). These are the first words of Pine and Gilmore’s benchmark study on the experience economy. 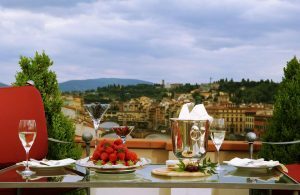 In the vicinity of Venice, in the Tuscan artful city of Florence, Massimo not only would suggest a differentiating extraordinary experience but he would shape a personally dedicated plot. Massimo searched the whole Tuscany region to find an actor that spoke masterfully the English language so as to recite to the man’s fiancé her favourite poem. It was a tough search. After offering a great salary, a Milanese renowned actor accepted to come in Tuscany and meet the couple in Ponte Vecchio Bridge. It was 18.30 and the couple was strolling around the historical that landmark. The actor had seen in photographs the couple so as to recognize them. And then the actor detected them. He took the fiancé’s hand and told her: «Please let me recite for you your favourite poem». He did so and then in the middle of the landmark bridge and among hundreds of tourists, the man knelt and asked her in marriage. The fiancé at the time when the actor called her with her name and recited her beloved poem was so surprised. Massimo was there, on the bridge, acting like a tourist who took photographs of that special corner of Florence, so as to be sure that everything would go well. Among the photographs that Massimo took, he managed to capture the reactions of the fiancé when she got surprised by the actor and also the whole wedding proposal scene. These photos were put in an album and it was Massimo’s wedding present for his guests’ marriage. What Massimo did was to use experiences as a privileged marketing tool to create added value for the guests and create an indelible storyable, extraordinary memory. It’s high time we created our own experiential stories!